Lockheed Martin claims that it has made a breakthrough in nuclear fusion technology that means it can build a truck-sized fusion reactor to deliver renewable energy to the masses within just 10 years. Nuclear fusion is the type of reaction that powers the Sun and hydrogen bombs. It works by getting two atoms to join together to form one (like the Spice Girls song), releasing vast amounts of energy in the process. If an efficient way of doing this can be developed, you end up with a clean, safe and abundant energy source that could solve the world’s growing energy crisis and cut carbon emissions. It also means that military, and commercial vehicles - be they submarines, fighter jets, tanks, spaceplanes or airliners - could eventually have their own reactors that would give them unlimited range. So far, nuclear fusion reactors have been incredibly large and expensive and haven’t produced enough energy to be sustainable. 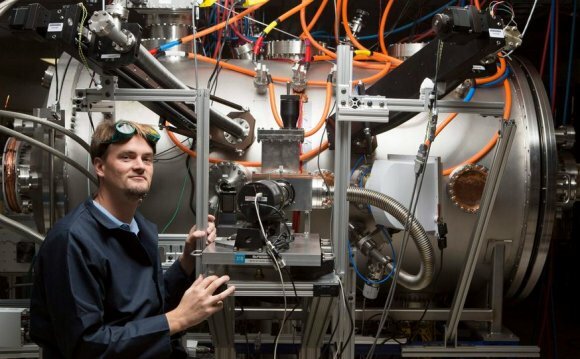 “The smaller size will allow us to design, build and test the compact fusion reactor in less than a year, ” says Tom McGuire, the project lead at Lockheed Martin. The smaller size, cost and time it will take to build the reactor means that the team can produce a working prototype in five years and a commercial product by 2024. The company - which is one of the world’s biggest suppliers of military technology - is now looking for funding for the research. It’s rare that such a huge leap in technology occurs like this - particularly when no-one else in the academic community has heard about it before. "Scientists tend to be sceptical because they like proof. Until a certain number of things are proven - from an engineering standpoint and scientific standpoint - people will ask questions, " Samuel Humphry-Baker, a researcher from Imperial College London’s Centre for Nuclear Engineering, told Mirror Online. "It’s a very exciting project and an important challenge, but it’s still at the early stages and they [Lockheed Martin] are not releasing a lot of information because they are pending a certain number of patents, " he added.